As the guests arrive and come through the entry gates, the Kids Zone attraction promises to be a central fun area for kids of all ages! 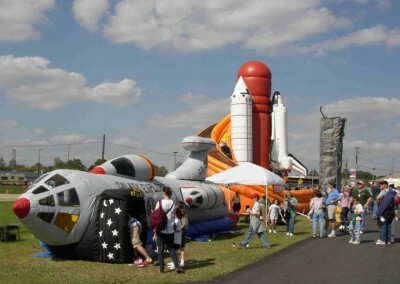 It consists of huge, aviation-themed inflatables, climbing walls and other cool kid activities. The Kids Zone will be open all day for the kids to enjoy. 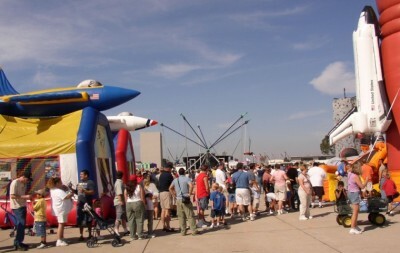 Parents, this is a great photo opportunity to capture photos of some great memories during the 2015 Wings Over North Georgia air show! The Kid’s Zone Attraction can be enjoyed all day for a low flat rate cost of endless bouncing, climbing and riding activities! 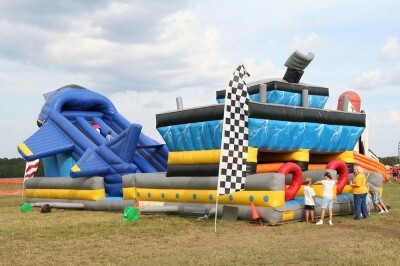 Daily Armbands admission for the inflatable attractions is $15. A selection of Premium Amusement Rides will require additional fees.